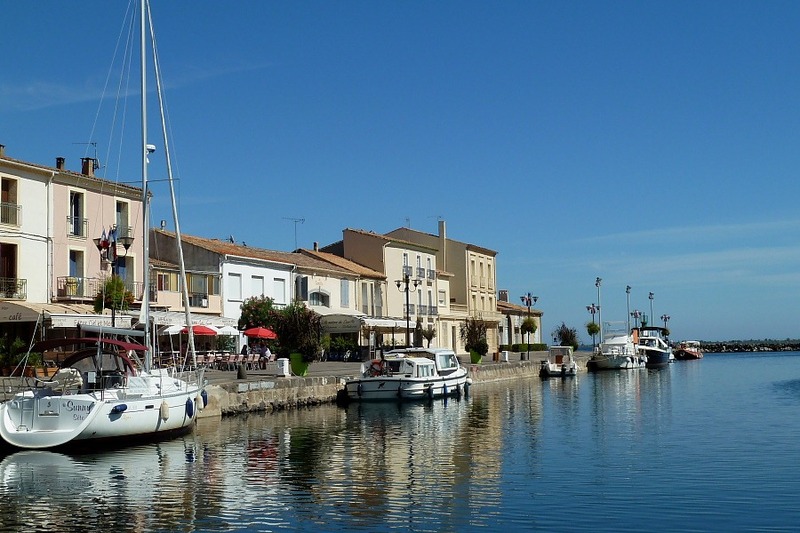 Anyway, our main reasons for returning regularly to this area are the weather together with a couple of picturesque local harbours at Mèze and Marseillan. Both are pleasant places to sit with a beer while watching the world go by. This is exactly what we tried to do at Mèze having cycled to the town from the campsite. We picked a harbour-side table at a harbour-side bar and sat down waiting to order deux pressions [two draught beers]. Shortly afterwards and, mercifully, before anyone had come to our table to take our order, a delivery van screeched to a halt 6ft/2m in front of us thus comprehensively obscuring our view of said world passing by. Not wishing to pay bar prices for a view of the side of a van, we left and cycled back. The other thing these harbours excel in is selling platters of the locally caught/produced coquillages [shellfish], especially oysters. Neither of these harbours opens directly onto the Mediterranean but rather on the Basin de Thau which is home to a very large oyster farming industry. 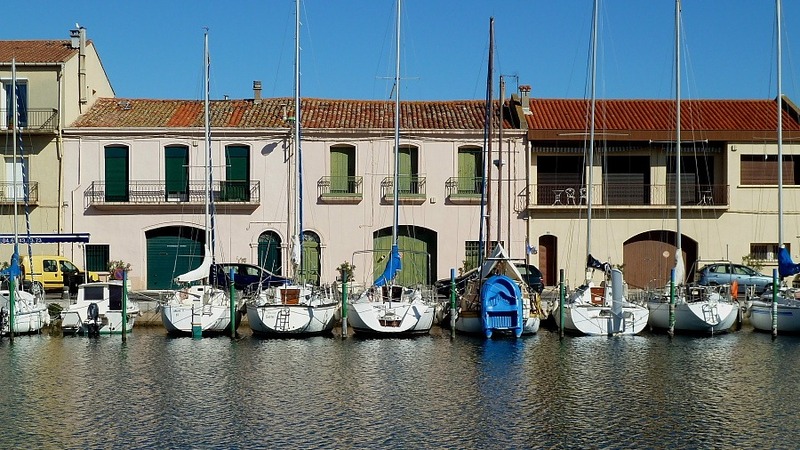 Marseillan harbour is by far our favourite, being particularly attractive and relatively calm, mostly. Happily, our attempt to sample the seafood their after yet another bicycle trip, was considerably more successful and we managed to part with a little of our tourist cash without the view being spoiled – and very good our lunches were, too. Naturally, being aboard bicycles rather than driving, we thought it was de rigeur to wash down our seafood with a bottle of the local dry white wine speciality, Picpoul de Pinet.